How do we consume nationalism in the marketplace? And what does it mean to treat nationalism as a commodity? 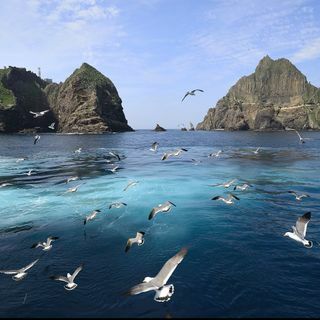 In this conversation, Nam Center Postdoctoral Fellow Jiun Bang discusses the commodification surrounding the Dokdo/Takeshima dispute, and challenges some of the traditional assumptions behind our perceptions of nationalism. And- a conversation on the strange linguistic character of the name Ehwa Womans University. Bang shares some little known facts about her alma mater. All ... See More this and more on episode 67 of The Korea File. This episode was produced in collaboration with the University of Michigan’s Nam Center for Korean Studies.